Lenovo launches Snapdragon 835 based Miix 630 laptop at CES, promises 20 hours battery life. Lenovo has introduced an all-new Miix 630 laptop at CES today which is powered by a Qualcomm Snapdragon 835 SoC. This new 2-in-1 machine is one of the initial laptops to be launched after Qualcomm confirmed that that company is working with Windows laptop makers on the same late last year. The new ARM based laptop run on Window 10S operating system, which restricts usage of apps to the limited yet functional Windows apps store. Although, the best thing being quoted about these Snapdragon powered devices is better battery life. 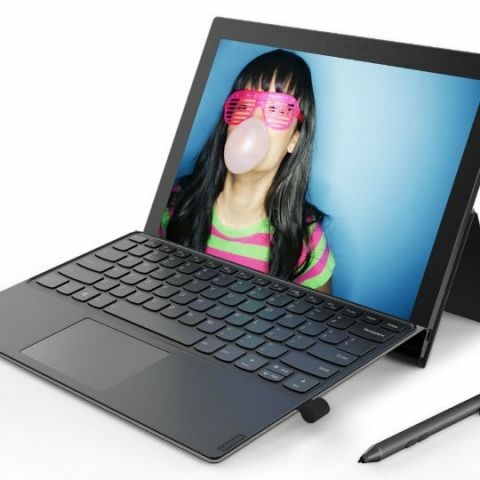 The Lenovo Miix 630 itself is claimed to provide 20 hours of battery life while playing locally saved videos at 150 nits brightness. LONG BATTERY LIFE (MIN -8HRS) LAPTOP. ? (8GB RAM 1TB HHD) ? nokia x2 02 very low battery life???? ?